Home / Health / Should You Take Vitamin D Supplements to Reduce Your Risk of Fractures? To follow up on my previous post on calcium supplementation, this post will be on the effect that vitamin D supplementation has on fractures risk. The majority of our vitamin D comes from the sun and a small amount comes from our diet. Surprisingly, even though Australia is known for its sunny weather, approximately one third of Australians are deficient in vitamin D.
With the knowledge that vitamin D increases the effect of calcium, it is common sense to assume that it would reduce the risk of fractures. To make the assumption even stronger, vitamin D supplementation also leads to an increase in bone mineral density. Although in theory vitamin D supplementation should reduce fractures risk, after going through every study in the past 20 years on the subject, the conclusion I came to was that vitamin D supplementation does not reduce the risk of fractures in the general elderly population. Interestingly, one study showed a significant increase in fractures risk, but the overall trend was that there was no effect. When people are severely deficient in vitamin D prior to supplementation, there was a reduction in the risk of fractures. This is likely related to the increase in bone mineral density combined with the increase in muscle strength associated with reversing vitamin D deficiency, which should contribute to reducing falls risk. 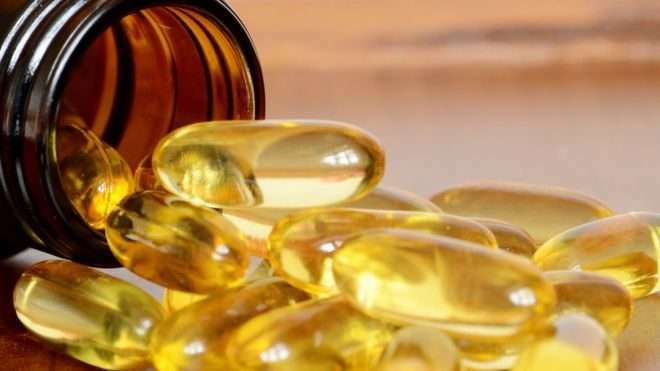 While the general population should not supplement vitamin D to reduce the risk of fractures, the evidence was clear that people who are deficient will benefit from increasing their levels of vitamin D, whether through supplementation, diet or sunlight. If you think you are at risk of vitamin D deficiency, it is worth checking with your GP – all it takes is a quick blood test. If you are deficient, vitamin D supplementation could be a wise choice. For anybody else, or anybody who does not want to supplement, the best thing to do is ensure you get enough sunlight and have a healthy diet containing plenty of vitamin D.
In Australia, 10 minutes of sun in the summer and 30 minutes of sun in the winter is usually enough to maintain optimal vitamin D levels. People with darker skin can require up to 3-6x the amount, which can be difficult to reach. It is even more difficult to reach if you have something preventing you from being outside as much as you would like – a 9-5 job for example. Getting any more sunlight than this will not increase your vitamin D levels any further, but it can increase your risk of skin cancer, so it is a bit of a balancing act. While sunscreen protects you from UV radiation, it also blocks vitamin D absorption as well. To get this balance right, the best thing you can do is avoid sunlight in the middle of the day in summer and put on sunscreen after having the right amount of sunlight. Vitamin D does not appear in many foods naturally, but there are plenty of foods which are commonly fortified with it. Foods high in vitamin D include salmon, egg yolks, milk, cheese, bread and fortified cereals. While calcium is vital for reducing the risk of fractures, it is clear that avoiding a vitamin D deficiency is important as well. By keeping vitamin D levels high, consuming sufficient calcium and staying active, it is possible to drastically reduce the risk of falls and fractures. Avoiding falls and fractures can help maintain a high level of physical function for an extended period of time, which is something I’m sure the majority of us would like to achieve.